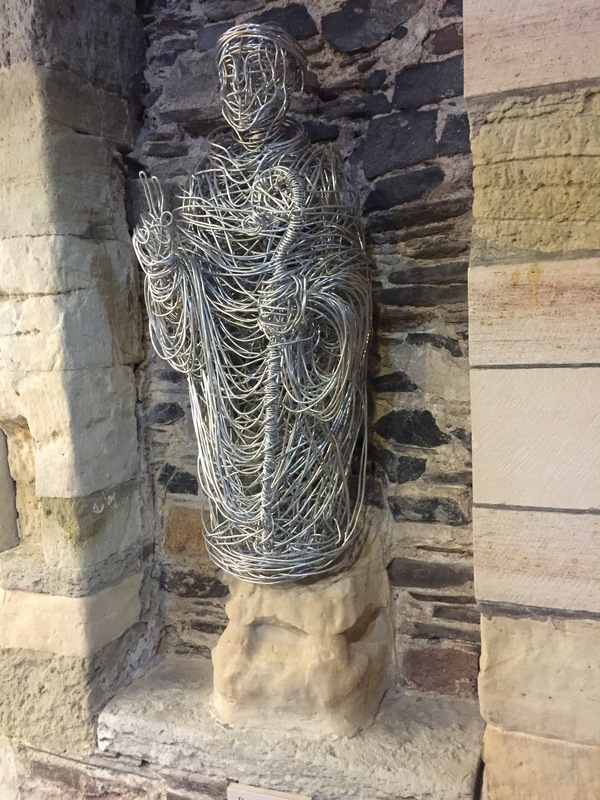 First photo is modern wire sculptural representation of St. Columba statue, with original feet remaining. Statue is thought to have stood in this niche. Pilgrims revered it as performing miracles. 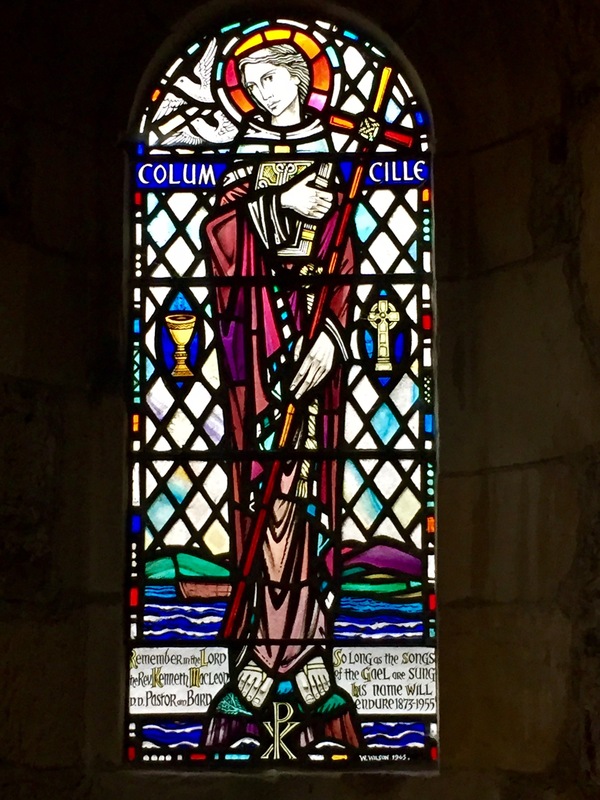 The second photo is small stained glass is St. Columba, also called Columcille, in Abbey. 10 Sep	This entry was published on September 10, 2017 at 7:46 am and is filed under Uncategorized. Bookmark the permalink. Follow any comments here with the RSS feed for this post.